Low Ionic Strength Solution (Working Strength) is “ready-to-use” solution and is supplied at the optimal dilution, for use with all recommended techniques without the need for further dilution or addition. LISS is used as a potentiator between antibodies and red blood cells (RBC). The reduced quantity of NaCl in LISS allows more efficient agglutination between the antibodies and RBCs. 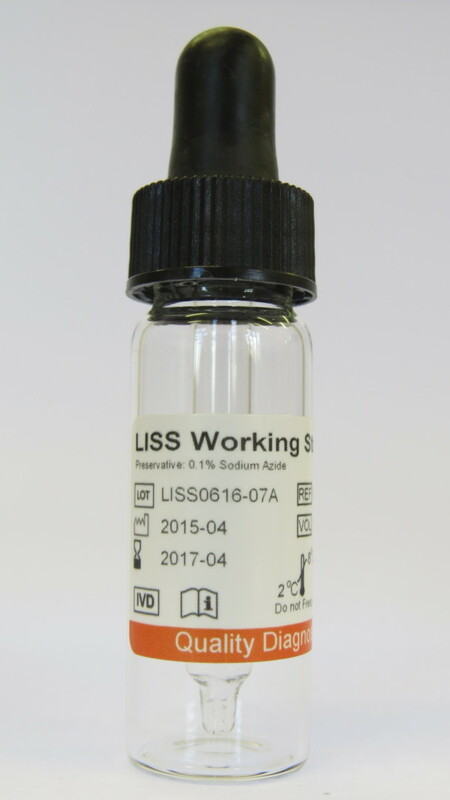 Rapid Labs LISS is “ready-to-use” solution and is supplied at the optimal dilution, for use with all recommended techniques without the need for further dilution or addition.